When I think of Los Angeles, California I don’t exactly think of world class single track. Visions of a busy metropolis, massive suburbs and jam packed freeways come to mind. However, if you head out town above LA this could not be farther from truth. 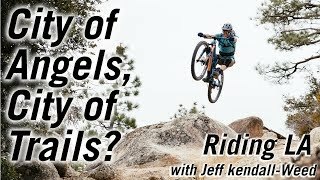 With the recent launch of the new Ibis Cycles Ripmo, Jeff Kendall-Weed packed up his newly built Ripmo, and headed down to the San Gabriel mountains in Southern California to give the bike a proper shake down ride. The result some is next level riding and grinning from ear to ear.